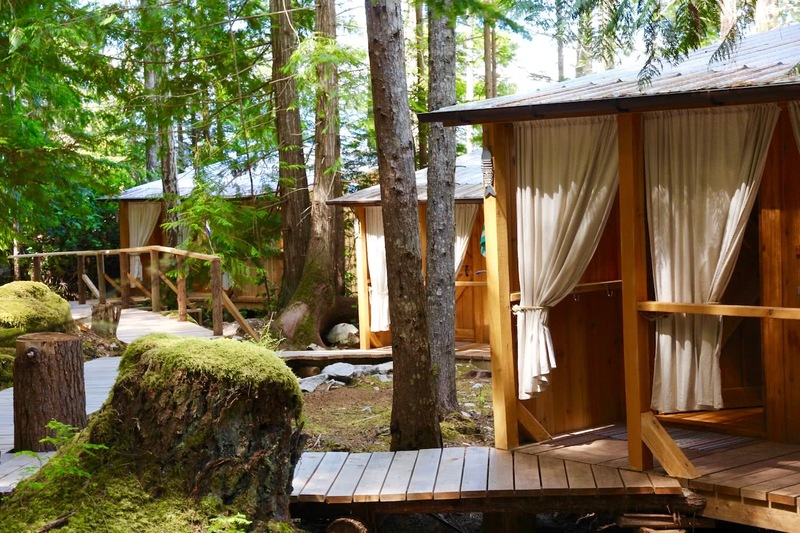 Our west coast cabanas are handcrafted from locally milled western red cedar and Douglas fir. Each accommodation is separate and strategically located on our island site to provide maximum appreciation of the natural surroundings. From the moment the door opens to your cabana your senses are alert. 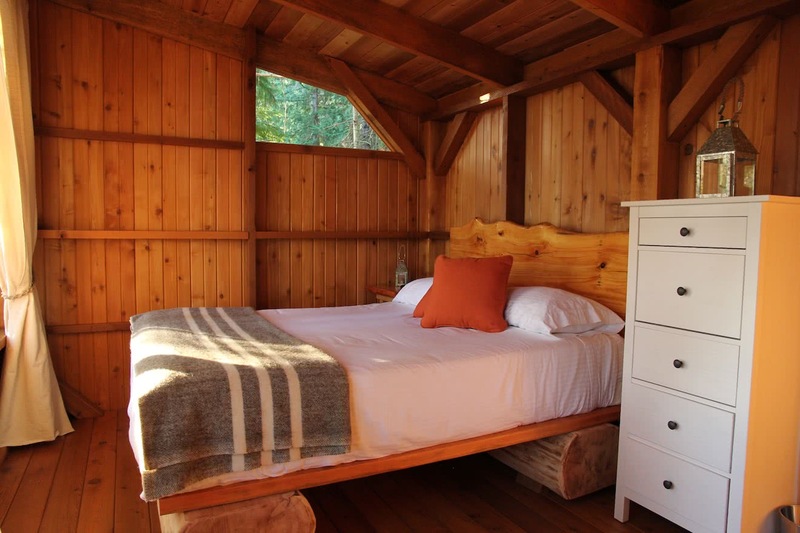 The smell of western red cedar and the view of the ocean through the large screened window greet you welcomingly. Sunlight filters through and gently brightens the rich interior woods, while the gentle sounds of the natural environment fill the room. The comfort of the custom-made log beds and the cozy window lounge call out to relax in the simple pleasure of your surroundings. Cozy throws, soft pillows and the earthy textures of warm, Canadian wool blankets & sheepskins enhance the feeling of comfort inside your cabana. Covered entrance decks not only provide a place to kick-off your beach shoes and hang up your wet paddling gear, but also a private space to relax and rejuvenate in your personal cedar shower with on-demand hot water. A meandering cedar boardwalk provides a connection throughout the resort and maintains the integrity of the natural environment as well as providing a safe and comfortable passage amongst the towering firs and cedars. With a maximum capacity just of 10-12 guests at a time, Cabana Desolation provides an exclusive and personal experience. Four double occupancy cabanas are available – each with a queen bed, shower and sink – perfect for couples, close friends and family travelling together. 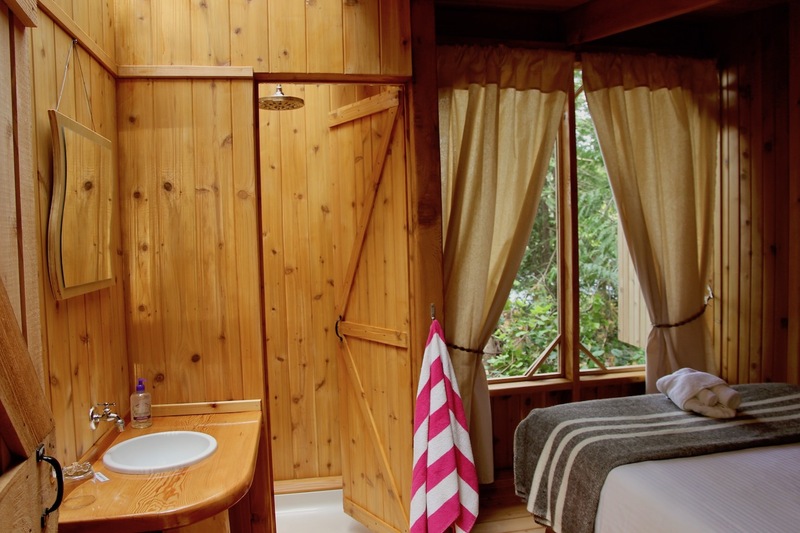 There are also two single occupancy cabanas for solo travellers with double beds as well as personal sink and shower. Three separate toilet structures are easily accessible along the boardwalk from the cabanas. Click here for pricing and policies relating to these cabana options, or here for reservations and availability.